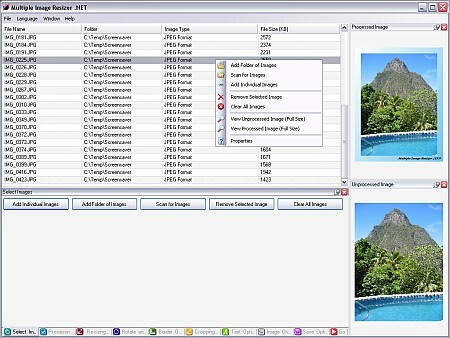 Multiple Image Resizer.NET 2.9.0.1 Portable » TopFreeSoft.Net - Best Freeware Software! With Multiple Image Resizer .NET, you can resize, add borders, add text, overlay images, crop, rotate and flip - with a few simple mouse clicks. It is a batch image processor. The software was originally designed and built to batch resize images but now features a wider range of batch image processing functionality.